Neil Nitin Mukesh says he doesn't decide basis on negative or positive roles. "I feel you need to have conviction when you go out there"
Actor Neil Nitin Mukesh, who played a negative role in Rohit Shetty's Golmaal Again, says he is glad about carving a niche for himself in the negative zone. Talking about this inclination, Neil said: "I did negative roles from the beginning of my career. Be it in Johnny Gaddaar, Saat Khoon Maaf, David... I don't look at roles as positive or negative. I just see that whether that character will create impact on screen or not, irrespective of screen time of that character. So it doesn't make difference to me. As an actor, I feel you need to have conviction when you go out there. At least, I am glad that in the aspect of negative roles, I have carved niche for myself." Neil attended Atharva Foundation's special initiative to pay tribute to the Indian armed forces, along with Maharashtra Chief Minister Devendra Fadnavis, as well as Vikram Gokhale, Aftab Shivdasani, Kapil Dev, Madhur Bhandarkar and Rohini Hattangadi here on Wednesday. 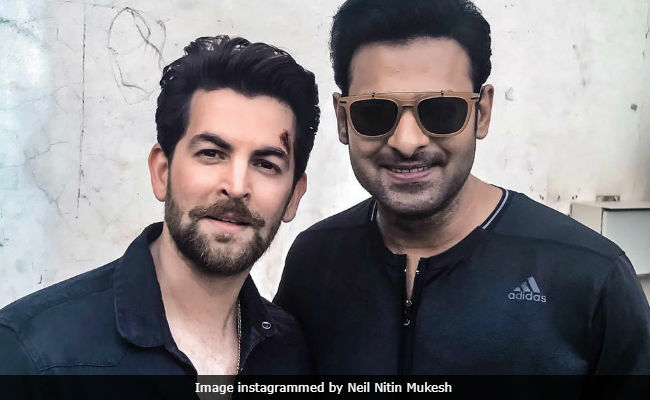 Neil also spoke about his upcoming film Saaho, a multi-lingual film starring Prabhas and Shraddha Kapoor. Neil once again plays a negative character. "Saaho is shaping up really well. We are now preparing for action sequences of Saaho. Sujeeth is very good. He is only 26 years old but is a brilliant director. I gained weight for Saaho but now I have to reduce that. I am finding it a bit difficult. But I think that transformation will be fun," he said. Apart from Saaho, Neil will also be seen in Firrkie, along with Kay Kay Menon, Karan Singh Grover and Sandeepa Dhar. Guess Who Visited Neil Nitin Mukesh On The Sets Of Bypass Road?